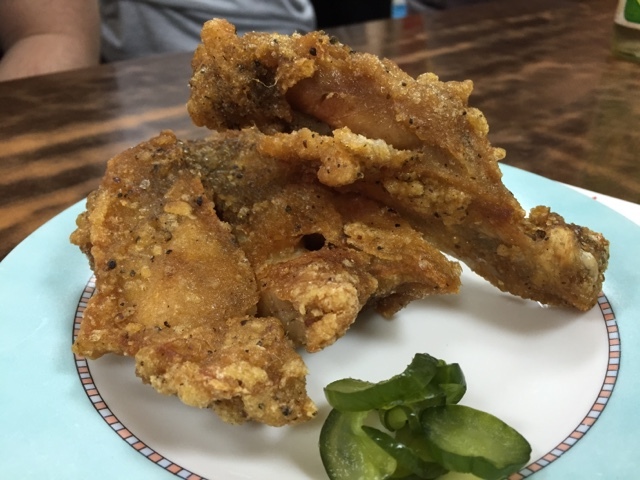 There are a couple of Pork Ribs/Pork Chop (炸排骨) restaurants in Ximending (西門町), all competing that they are the original brand with longstanding history. 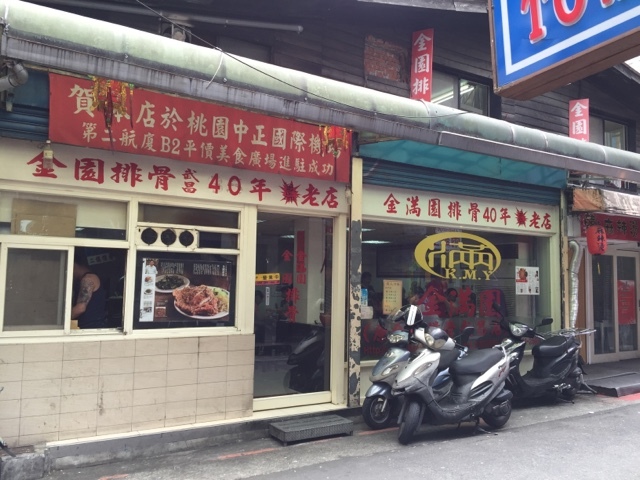 One of the restaurants, Jin Man Yuan Pai Gu (金满园排骨), claimed that they were the original brand with at least 40 years of history. 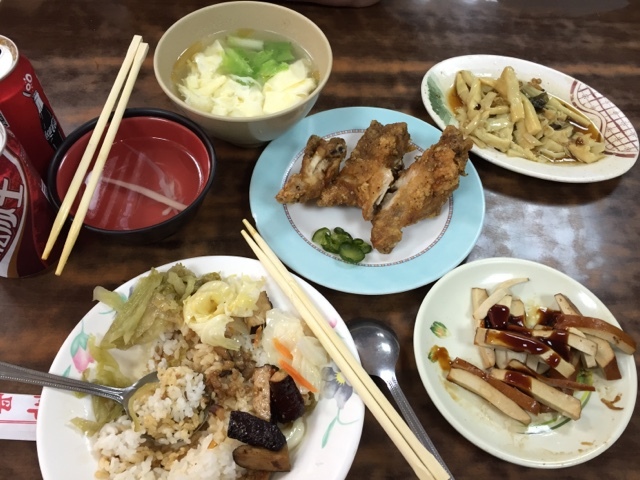 Located at the junction of Wuchang Street (武昌路) and E-mei Street (峨嵋路), the restaurant was easy to find, especially with a eye-catching banner stating its long history. We entered the empty restaurant slightly before noon on a Saturday and was quickly attended by a middle-aged staff. As soon as she took our orders, throngs of people started to enter the restaurant. Very soon, the restaurant was already full. The middle-aged woman was in charge of attending to diners such as serving the dishes and taking orders. 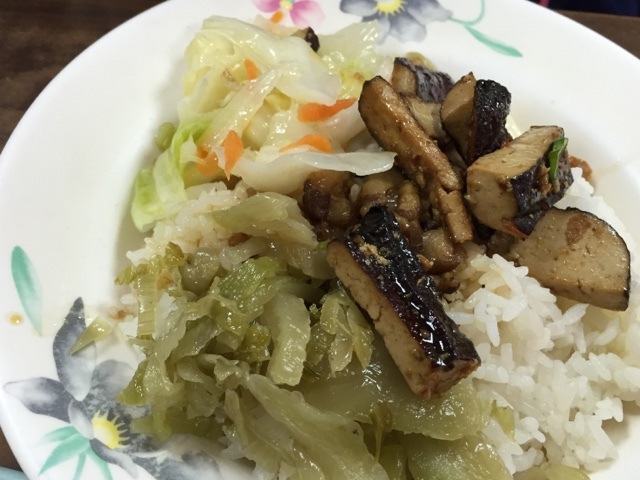 In the kitchen, there were three other chefs - one was in charge of deep-frying the pork ribs, another was in charge of noodles, and the last one was in charge of other dishes. Because of the sudden increase, the woman became confused. Not only she forgot where to serve the food, she did not attend and take orders from the seated diners. Even our food was served wrongly. 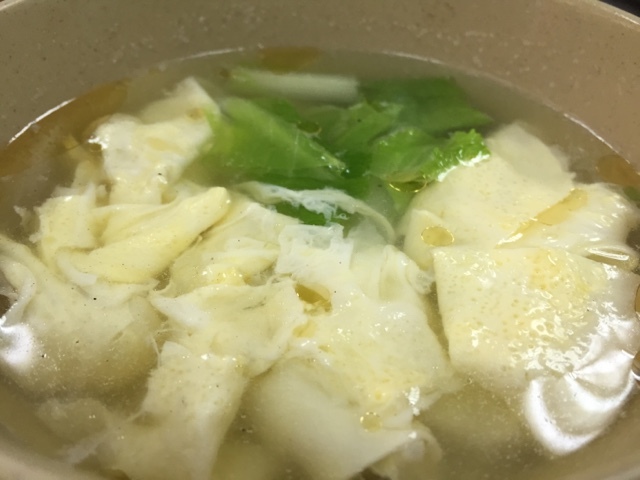 Instead of the egg flower (蛋花湯) soup, we were served with seafood soup. The braised pork trotters rice (豬腳飯), which we ordered, was not available. What was disappointing was the fact that we were only informed when I was three-quarters finished with the rest of the meal. 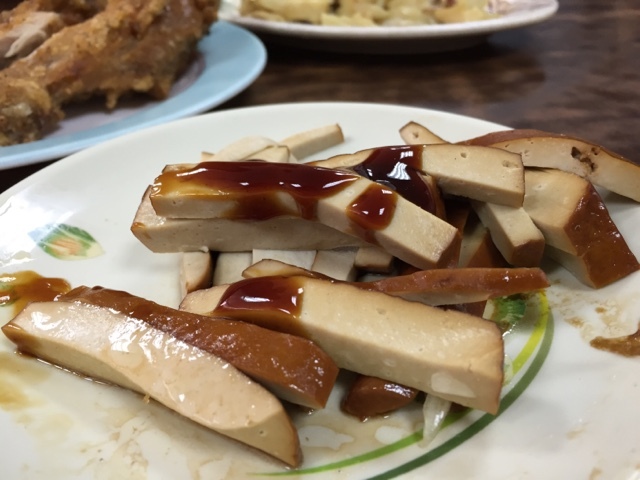 A diner complained about uncooked pork ribs in another incident. Frankly speaking, Jin Man Yuan Pai Gu (金满园排骨) is a place you should avoid. 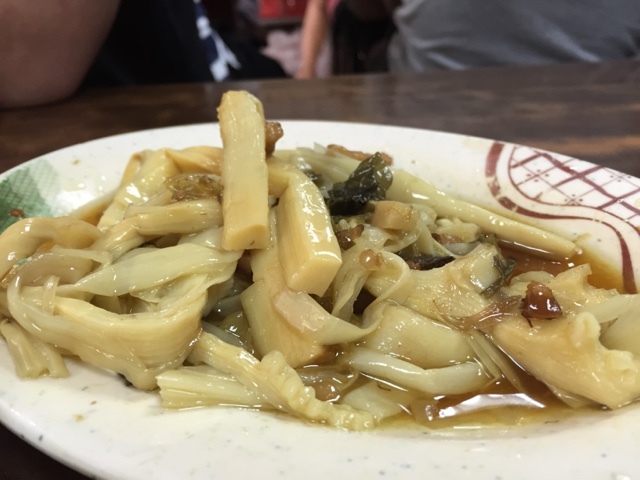 Compared to Kingwueng Pork (金圓排骨), the restaurant was poorly managed with confused staff, poor operations, and the food was forgettable (bad). The cost of the meal was TWD195, equivalent to SGD8.50, for two persons. Although this included the pork trotters rice, we left without waiting for it. 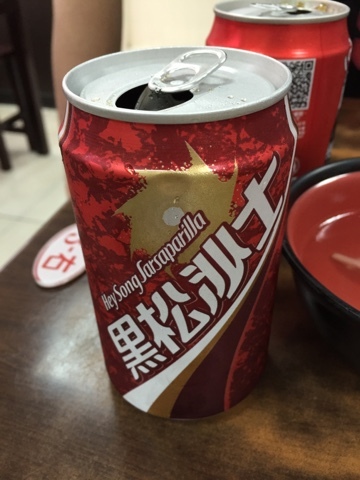 The only nice thing from the restaurant was the can of their local Sarsi soda water. It was nice and refreshing.